In December 2017, 118 World Trade Organisation (WTO) members supported a Joint Declaration on Trade and Women’s Economic Empowerment at the Ministerial Conference in Buenos Aires. This is the first WTO declaration to focus on gender. Some countries have also begun to include gender chapters in their bilateral trade agreements and there is a renewed dialogue on how trade rules can support women entrepreneurs and stimulate inclusive growth. These moves have been paralleled by an increased recognition that trade policy has implications for gender equality. 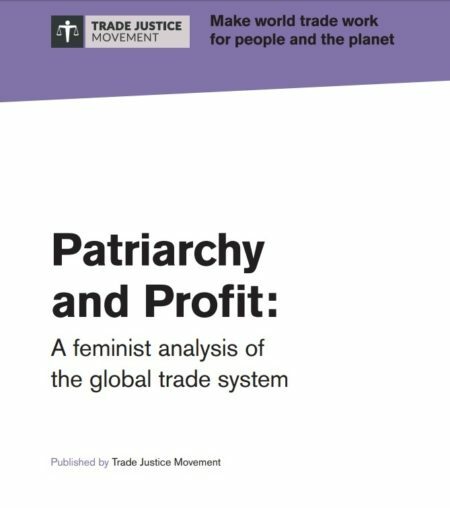 This report explores the ways in which trade agreements impact on gender equality and argues that, whilst international action to address the gendered impacts of trade policy is both urgent and welcome, much more is needed to ensure that trade deals are designed in a way that supports gender equality. It argues that there is a wide gap between the rhetoric about trade, inclusive growth and women’s economic empowerment and genuine action to develop a trade policy that is compatible with a transition towards an economy that benefits women and men equally. The current political situation in the UK raises both risks and opportunities. The decision to leave the European Union means that the UK government will regain competence for trade policy for the first time in more than forty years and will be required to negotiate new trade arrangements with partner countries. This provides a unique opportunity for the UK to incorporate a feminist analysis into its approach. The government has supported the WTO’s Joint Declaration and has a partnership with the International Trade Centre to establish the ‘SheTrades Commonwealth’ initiative, which indicates an understanding of the gendered dynamics of trade and potentially offers a basis for further action. At the same time, these initiatives have been developed in the context of strong support for the very free trade rules that have been proven to exacerbate existing gender biases within the economy. 1. Making trade rules subordinate to and designed to support national and international commitments to achieving gender justice. 2. Undertaking full gender impact assessments in a timely manner and ensuring their findings have legal weight in the development of mandates, agreements and implementation. 3. Excluding investor-state dispute settlement mechanisms and other special courts for investors from trade and investment agreements. 4. Ensuring trade agreements do not increase women’s unpaid domestic and care work burden by guaranteeing that governments are not compelled to liberalise, or prevented from renationalising, public services. 5. Ensuring trade agreements do not undermine small-scale farmers and food sovereignty in the UK and partner countries. 6. Ensuring trade agreements are transparent and democratic. 7. Making a commitment not to re-negotiate the EU Economic Partnership Agreements with developing countries. The UK should instead develop its unilateral preference scheme so that it is supportive of development, regional integration and human rights goals.